Character - Apprentice. Points: 10/13. Health: 10. 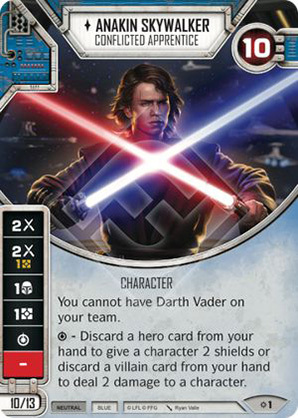 You cannot have Darth Vader on your team. - Discard a hero card from your hand to give a character 2 shields or discard a villain card from your hand to deal 2 damage to a character.